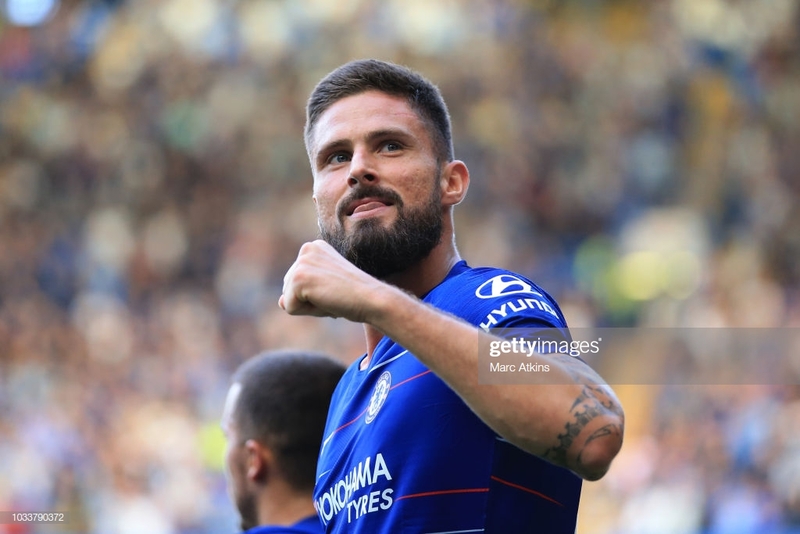 Chelsea striker Olivier Giroud has hinted possible departure from the London club when speaking to RTLsaying his current situation is “frustrating” amidst the lack of game time. Olivier Giroud has recently been called up to the French national team ahead of EURO Championship Qualifier games against Moldova and Iceland. While away with the national team, Giroud spoke to French radio station RTL and gave his verdict on his situation at Chelsea. The fourth all time France top scorer said: “I have the impression there is clearly no competition [for attacking places] since January. “I know that I will only play in the Europa League. I try to do what it takes to be as effective and as important as I can for the team. Giroud has been short of minutes this season especially since the arrival of Argentine marksman, Gonzalo Higuain. The Frenchman has made 21 appearances in the Premier League with only six having come from starting, with his last start the end of December. However, the four-time FA Cup winner has impressed in the Europa League this season and has scored nine goals in nine appearances for the Blues as they aim to take home the trophy a second time. The World Cup winner has only played 110 more minutes than Higuain in the Premier League this season. But with accolades such as the 2018 World Cup, FA Cup, Ligue 1 title and the Community Shield to his name, Giroud should not be underestimated. A manager who does utilise the striker’s strengths is Didier Deschamps. Having been selected for the national team with so few minutes is a testament to the 32-year-old. Deschamps showcased his faith in the Frenchman in the 2018 World Cup. Giroud featured in all of France’s World Cup games, starting six and as a substitute in the other, despite not scoring a goal the entire tournament. The striker’s ability to link play, hold up the ball and pose an aerial threat will be attractive attributes for any potential suitors come the summer. Should Giroud push for a move in the summer, a path will be paved for Tammy Abraham into Chelsea’s first team – especially with a transfer ban in mind. The target man will be looking to impress Maurizio Sarri in the international break to show why he should be playing more. First up is away to Moldova on Friday - a fixture both sides will be looking forward to.